The Oldham MX 43 controller is designed to continuously measure and control gases within the atmosphere. Highly flexible, it is able to manage both digital lines and analogue channels, covering the needs for a wide variety of gas monitoring applications. Digital technology allows for up to 32 detectors to be distributed on 8 lines, whilst storage capacity is enhanced with an optional USB module, allowing for increased cost savings. The 4GB USB drive fitted with the USB kit, provides a recording capacity of more than 2 years (18 months in the worst case for a controller equipped with 32 detectors), a 2 second sampling rate (32 measurements every 2 seconds), and 100 events per day per gas detector (3200 events per day). 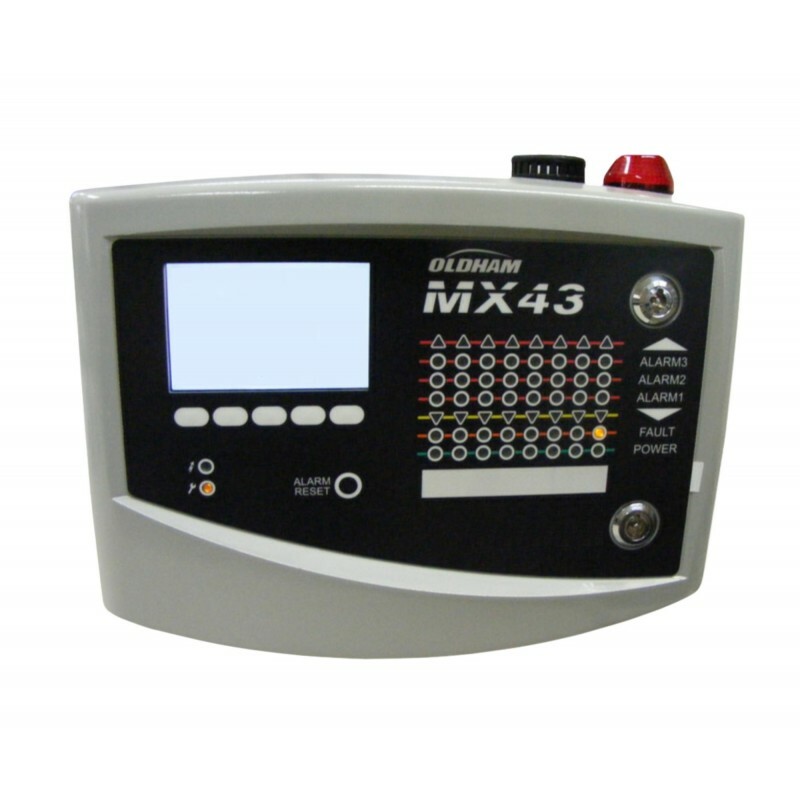 Additional options include the COM 43 programming CD that is compatible with any MX 43 controllers already in use. The COM 43 is a simple application that provides user access to the advanced features of the MX 43, allowing for configuration via a computer.